At Simon Roofing, safety is #1 among our core values, and it remains a priority in every aspect of our business. Whether on the jobsite or in our offices, we strive to always provide a safe and hazard-free work environment for our employees – and our customers. When hired by Simon Roofing, all new employees go through an extensive safety orientation program that emphasizes the importance of work-related safety. And that’s just the beginning. 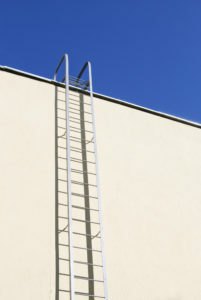 In addition, roofing employees undergo ongoing weekly safety training conducted by a Safety Coordinator on the jobsite. These group sessions include various topics, such as general safety concerns and specific issues that may arise while completing a roofing repair, restoration or replacement. Before work begins on a customer’s commercial roof, a Site-Specific Safety Plan and Job Safety Analysis (JSA) will be developed. The Site-Specific Safety Plan will help outline a plan for fall protection, ladder setup and other hazards found during the preconstruction meeting. 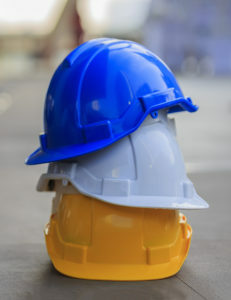 When walking the jobsite with a project manager or foreman, the safety coordinator will be on the lookout for specific safety issues that could impact workers and what additional equipment and procedures might be essential to guarantee safety. The JSA focuses on “job tasks as a way to identify hazards before they occur.” The JSA is completed by all employees and communicated throughout the timeframe of the project. As conditions change, it is updated, and the setup of safety equipment is adapted according to changes. Additional on-site safety inspections take place on a daily, periodic and unannounced basis. Our employees are highly trained in practicing safety while on the jobsite. This includes wearing appropriate personal protection equipment (PPE) such as fall protection, safety glasses, hard hats, steel toed boots and hearing protection, when applicable. Personal Fall Arrest Systems are used when work is conducted outside of a perimeter warning line or other unprotected areas, such as on the leading edge, unprotected skylights or bad decking, or while replacing decking. With Simon Roofing, you can rest assured when our crews are working on your commercial roof that safety is our primary focus. Nothing is more important to us than ensuring every employee who comes to work each day returns home to their family every night. For more information on Simon Roofing’s emphasis on safety, contact us today.